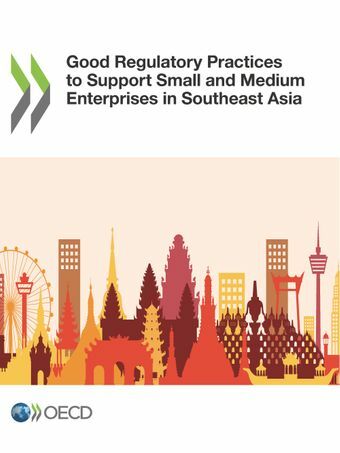 Southeast Asian countries by and large recognize the importance of GRP and are increasingly streamlining its tools and methodologies into regulatory design and delivery. Almost all countries in the Association of Southeast Asian Nations (ASEAN) have initiated some kind of administrative burden reduction programme, and all countries practice stakeholder engagement as well as offer at least a few regulatory processes that can be completed online. SMEs are highly heterogeneous. As a result, the kind of support SMEs want from governments may be very different. Some ASEAN governments have introduced regulatory policies targeted at SMEs, while others have opted to level the regulatory playing field for businesses of all sizes. A dedicated SME regulatory policy may not be necessary as long as the general regulatory environment is fair, transparent, clear and effective. The consistency and quality of GRP implementation in ASEAN countries are seldom monitored or evaluated. Even when GRP is intended to be applied to all government agencies and arm’s-length bodies, this may not be the case in practice. Very few countries conduct ex-post evaluations of regulations. ASEAN countries vary greatly in terms of governance, institutional organisation, and development priorities as well as levels of economic development and integration. Correspondingly, government approaches to setting regulatory policy and using GRP also differ from country to country. As countries in the region aim to to achieve a single market, national regulatory policies will need to be complementary, if not standardised across countries. Further challenges lie ahead for regulatory co-ordination and implementation. Shelly Hsieh, OECD Regulatory Policy Division.